Star Trek 4 was first revealed in July 2016, just days before the release of Star Trek Beyond. There were rumors that Chris Hemsworth would reprise his brief role as George Kirk, James Tiberius Kirk's (Chris Pine) late father, from the opening scene of J.J. Abrams 2009 Star Trek movie. It was later confirmed that Hemsworth is attached to star, and while no story details have been revealed, sources claim that there will be a "time travel ploy" in this story which will involve Pine's Captain James Kirk running into his father. How that "ploy" will play out remains to be seen, although it is said to be a "key plot point." Back in December 2016, Star Trek Beyond writer/star Simon Pegg shared a photo with his co-writer Doug Jung, teasing that the writing duo are getting back to work on the Star Trek 4 script. This report doesn't mention the writing team, although it states that the script is now being written by J.D. Payne and Patrick McKay. What's interesting is, earlier this month, star Zachary Quinto, who plays Spock in the franchise, stated that there are currently three Star Trek scripts behind developed, one by Simon Pegg and Doug Jung, one by Mark L. Smith (The Revenant) for Quentin Tarantino, and another from an unspecified "set of writers," which seems to be Payne and McKay. You may recall that Payne and McKay were writing the script for Star Trek Beyond when Roberto Orci was attached to direct. 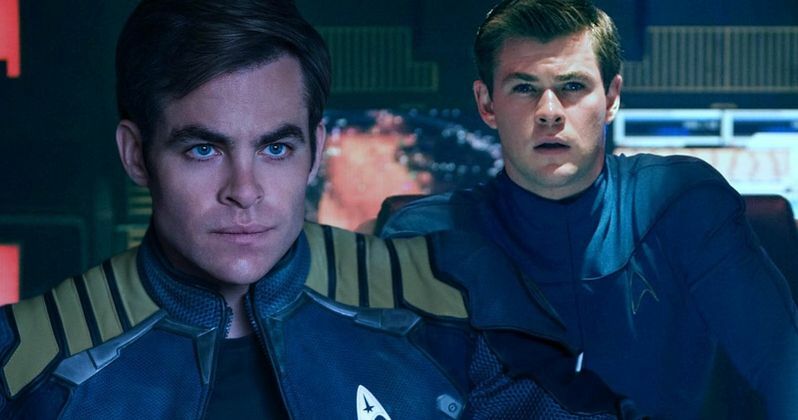 Chris Pine and Zachary Quinto are set to return, and it seems likely that the rest of the main cast will be back as well, including Zoe Saldana as Uhura, Karl Urban as Bones, John Cho as Sulu and Simon Pegg as Scotty. It had previously been confirmed that there are no plans to re-cast the late Anton Yelchin as Chekov, after the young actor died in a tragic accident just weeks before Star Trek Beyond debuted in the summer of 2016. Whether or not a completely new character is brought on to replace him remains to be seen. This project will mark the feature directorial debut for S.J. Clarkson, but she has made a name for herself over the past few years for her stellar work on the small screen. Clarkson started her career directing several episodes of hit U.K. TV series' Doctors and EastEnders, before heading across the pond to direct episodes of Life on Mars, Heroes, Ugly Betty, House, Dexter, Hunted, Banshee, Smash, Bates Motel, The Bridge, Hostages, Turn: Washington's Spies, Orange Is the New Black, Dig, Jessica Jones, Vinyl, Love, Nina, The Defenders and all four episodes of the Netflix mini-series Collateral, which debuted last month. Variety broke the news on S.J. Clarkson taking the helm of Star Trek 4.